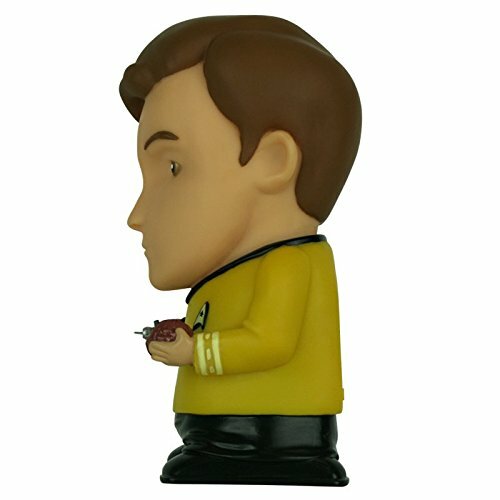 Captain Kirk Bluetooth Speaker - Moar Stuff - You don't need it but you know you want it. 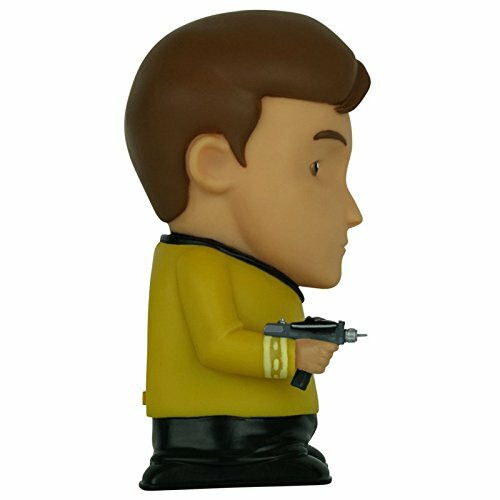 Unlike those Pop Vinyl figures which are cool but pretty much useless, this Captain Kirk Bluetooth Speaker is both cool and functional. 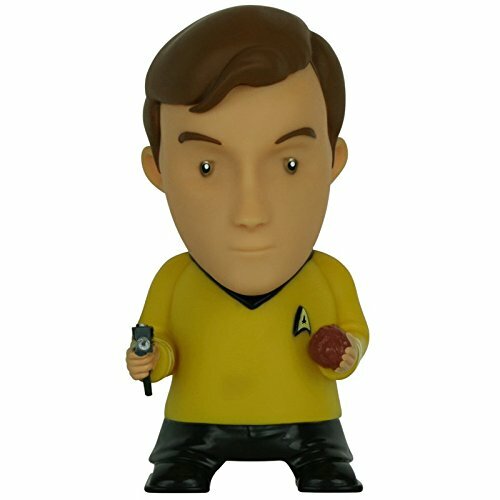 Made of vinyl and holding a phaser and a tribble, he’s ready to take on the Klingons while taunting them with several sound clips. 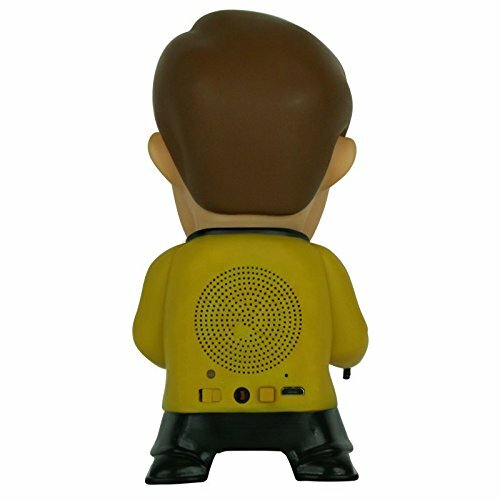 These sound clips include a phaser blast and Kirk saying phrases such as “Kirk to Enterprise, Enterprise… come in Enterprise” and “Scotty, we’re running out of time”. In all there are 9 different sound effects. 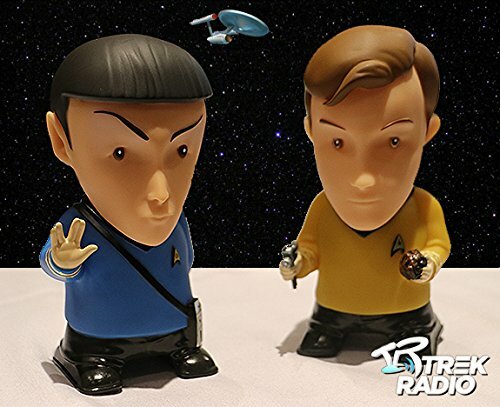 Better yet, you can use Bluetooth to pair him to your phone so you can listen to music or even take phone calls since he’s also equipped with an omni-directional microphone. 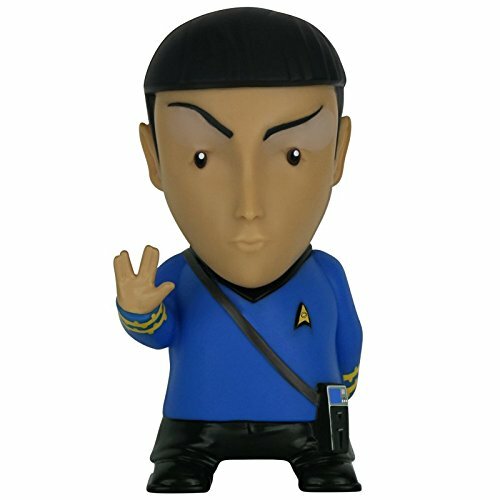 Perhaps you would prefer the Mr. Spock version? After all, it would only be logical. He can run for up to 5 hours on a single charge and he can be recharged via a mini-USB cable. There’s even a multi-function control button in the back to control your music or take calls right from the figure. No need to pull out your phone. On top of all that, there’s even a 3.5mm (1/8″) audio jack as well just in case you can’t make a Bluetooth connection. 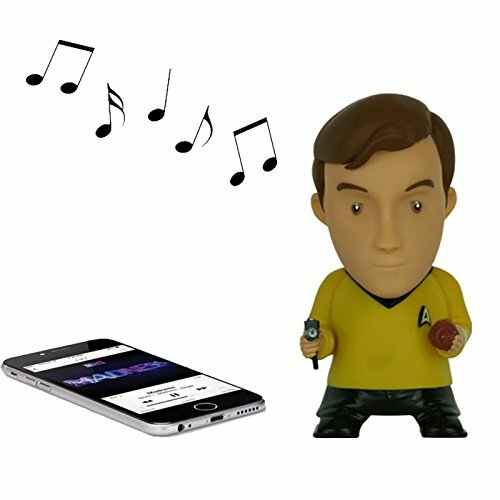 Don’t waste any time, the fate of the galaxy is at stake so get your Captain Kirk Bluetooth Speaker now. Product Dimensions 3.4 x 3.4 x 6.2 inches. Battery: Rechargeable. Up to 5 hours of use on a charge. 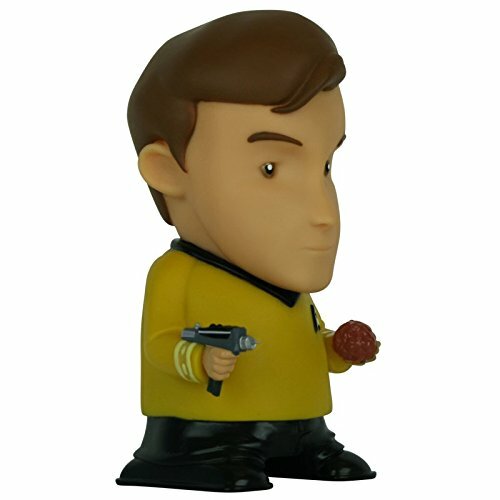 Sound Clips: “This is Captain James T. Kirk of the U.S.S. 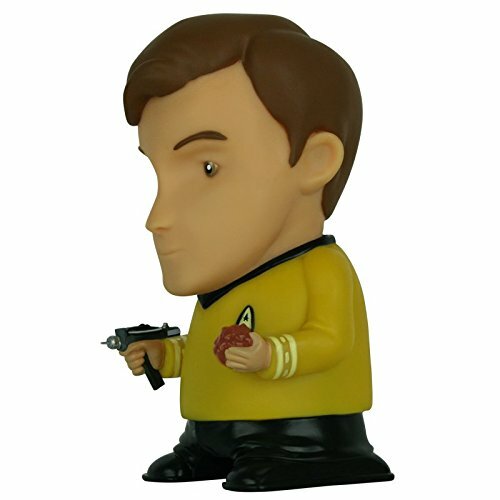 Enterprise”, Phaser Blast, “Kirk to Enterprise, Enterprise… come in Enterprise”, “Energize”, “Scotty, we’re running out of time”, “Set phasers on stun; I’m beaming directly onto the planet’s surface”, “The plug must be pulled”, “Warp factor one”, “All hands to battle stations; prepare to attack”.